Recently this week school started back again, which means more stress and more organization. This year I will be graduating so the stress is a little high for me. 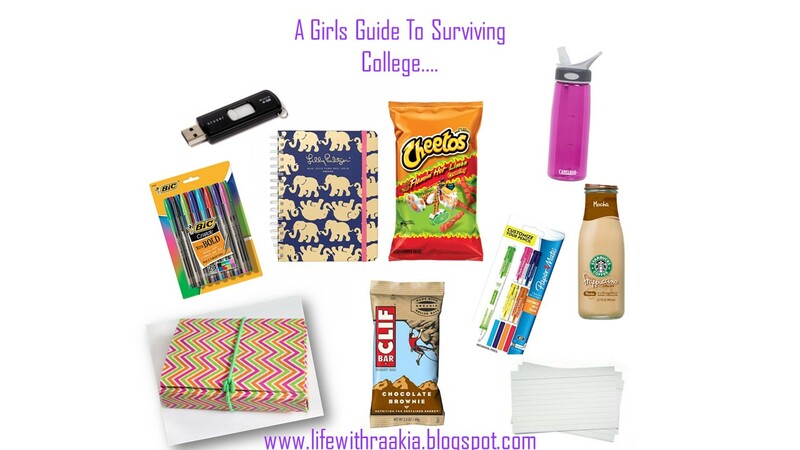 I thought it would be interesting to share some of my top essentials that have helped me with surviving college now. 1. I know this sounds so cheesy but have a planner really helped me stay organized in college. I remember in elementary school when they started given us planner I did not quite grasp the concept of how to use it. But let me tell ya I don't know how I will stay sane without a planner. I normally color code each subject with a different pen color. Right now I have been using Lily Pulitzer Agenda, but I find that any agenda works as long as you make it yours. 2. Note-cards are also one of my most need essentials. If you are going into a medical field or any field my professor stressed the importance of having note-cards where you can go back and study. They have personally helped me with studying for my test and remember a lot of math formulas. And as a bonus they even have cute little cases where you can store the card. As I further my degree into becoming an RN I know they will help with memorizing medical terminology and ect. 3. Time-management is another big essential, in college you have to manage your time wisely or you will fall behind. Personally I work and go to college so I have to really value my time and make sure I get assignments turned in on time, go to work on time, and balance my social life. Sure at first it seems like a challenge, but I promise once you get down a routine everything will fall into place. 5. There are some more of my essential must haves for college in the picture above. What are your college must have / advice for college ?